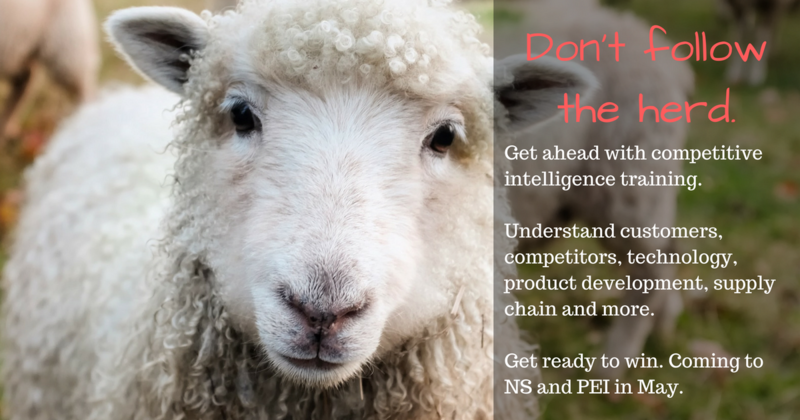 Competitive intelligence training is a game-changer. Come join a growing collective of program graduates from Atlantic Canada that are driving their businesses forward. PEIBWA, in partnership with Venn Innovation and with support from the Atlantic Canada Opportunities Agency, is excited to bring world-leading intelligence expert, Jonathan Calof, to PEI for an exciting, new program designed to help you develop market insights for your business. This program is being run across Atlantic Canada. Come and join a growing and supportive network of like-minded professionals! Want to understand more of how this can benefit YOUR business? Come to this free info session to learn more about this exciting new training opportunity on PEI April 25th at Startup Zone. Are you ready to register for the training workshops? Click HERE.